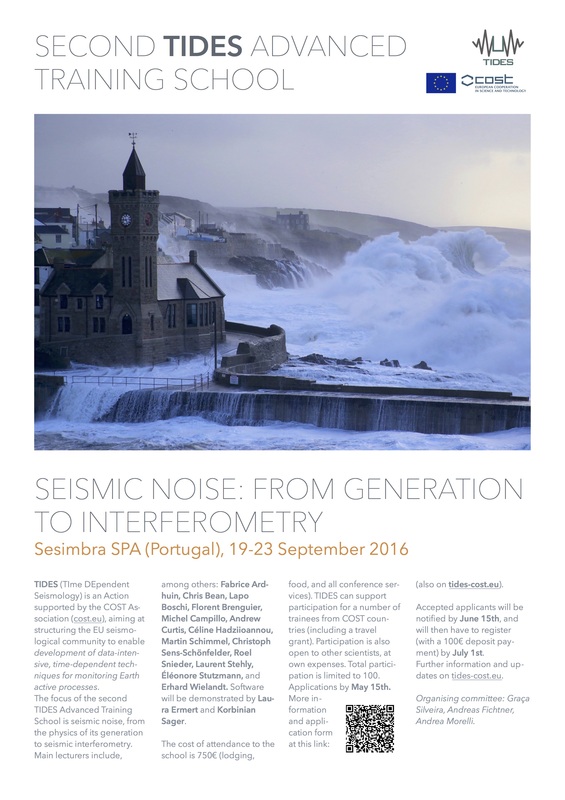 The focus of the second TIDES Advanced Training School is seismic noise, from the physics of its generation to seismic interferometry. Main lecturers include some of the best experts in the field, among others: Fabrice Ardhuin, Chris Bean, Lapo Boschi, Florent Brenguier, Michel Campillo, Andrew Curtis, Céline Hadziioannou, Thomas Lecocq, Martin Schimmel, Christoph Sens-Schönfelder, Roel Snieder, Éléonore Stutzmann, and Erhard Wielandt. The school includes software practical by Laura Ermert and Korbinian Sager. Organising committee: Graça Silveira, Andreas Fichtner, Andrea Morelli. Here is the full day program (with links to presentation material).